A Winter Loft Conversion? Why Not? Posted November 29, 2016 by jordannet66 & filed under Blog. Could winter be a good time to have your loft converted? Thanks partly to the Gulf Stream, the British winter is usually mild. It is not unusual for us to have wintry weather in early April as well as mid-December. 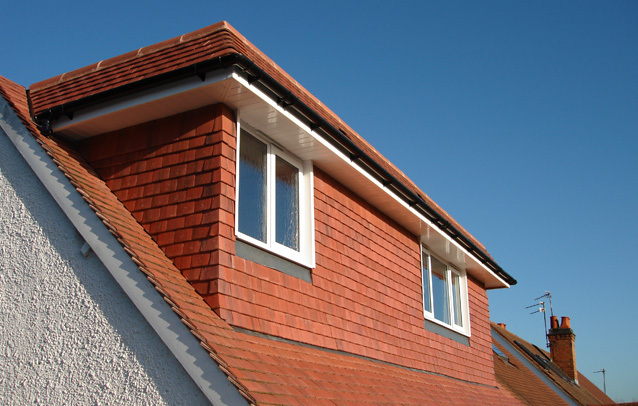 Yet, many people choose to have a loft conversion in Spring and Summer, rather than winter. With the changeable nature of the British weather, the difference should be minimal. A reputable loft conversion company shelters your roof from the elements just as well on the 15 December as it does on the 26 May. This is where we come into the equation. We at Up Another Level take customer service and professionalism to another level. From good to great in no time at all, no matter what time of the year. Another joy of having your loft converted in winter is the waiting time. We at Up Another Level have a less busy schedule in the cooler months, because fewer people entertain the prospect of having their loft converted in December compared with June. If you choose to go on holiday in July or August, and have your loft converted in June, what happens if the job runs over? What if you need to cancel your holiday, and end up losing money on your break? Going back to the British weather being a fickle beast, there are times when we need to turn the heating up in May. 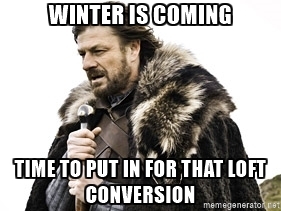 Or turn the heating down in December. If you had your loft converted in January, you have covered your bases if April proves to be the coldest in living memory. It also makes sense with your fuel bill as most of our heat is lost from roof space. Furthermore, any insulation related jubblies could be eliminated early doors. If you don’t fancy waiting in May, June, or July – or fretting over its estimated completion time before you jet off, go for a winter loft conversion. For further information or a free no-obligation quote, just call any of the six telephone numbers that are most local to your home address. Or go to our Contact Us page and fill in the quick reply form. Up Another Level, 29 November 2016. Home » Blog » Blog » A Winter Loft Conversion? Why Not?